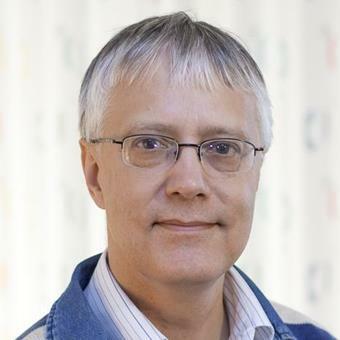 Several internationally renowned researchers will speak at this year’s symposium at the Wallenberg Centre for Molecular Medicine, including Professor Tom Blundell from the University of Cambridge. The symposium will be held on 7 and 8 December, and there is still time to register. “We hope the symposium can help bring together researchers at Linköping University who are at the intersection of medicine and technology. Research at WCMM is focussed on molecular life science, and the expectation is that it will lead to health improvements for people,” says symposium co-organiser Stefan Klintström, senior lecturer at LiU’s Department of Physics, Chemistry and Biology. Earlier in his career he was part of the team around Nobel laureate Dorothy Hodgkin, who was the first to determine the three-dimensional protein structure of the insulin hormone. Today Professor Blundell is professor at the University of Cambridge. The symposium kicks off with an afternoon focussed on protein structure, in particular drug development. Determining the three-dimensional form of important biological molecules is an important part in the development of new drugs. When the molecule’s structure is known, it becomes possible to design new drugs that match perfectly with the right molecule, just as a key with the right shape will fit into a particular lock. The symposium’s first day will end with a presentation of some exciting examples from the world of bioelectronics. Research into how nanotechnology can be used to connect nerve cells is advancing rapidly. Researchers hope that bioelectronics will, for instance, be useful in the creation of artificial corneas, which are used to restore people’s vision. Professor Yael Hanein from Tel Aviv University will present research on how nanomaterials can be used to study nerve cells. One of the biggest problems with drugs is that in many cases they do not have the desired effect on the patients. On Friday morning the focus will be on how advances in basic and applied research can improve the personalisation of drugs. Anna Sandström from the pharmaceutical company AstraZeneca will speak about drug development and personalised drugs. The final afternoon of the symposium will look at visualisation. Development is moving towards combining descriptive medical examinations with, for instance, genetic information, in order to adapt the treatment to the individual. Jeroen van der Laak from Radboud University Medical Center in the Netherlands, and visiting professor at WCMM, is developing AI methods for the analysis of microscope images. At the symposium he will present his thoughts on how artificial intelligence can be used to support decision-making in breast cancer diagnosis. In addition to the above examples, various LiU researchers and other invited participants will speak at the symposium. All LiU and Region Östergötland employees are welcome to attend. Registration is open until 29 November (see link under “More about WCMM”). Also in attendance will be researchers from the other WCMM nodes in Umeå, Lund and Gothenburg, as well as the SciLifeLab in Stockholm and Uppsala. WCMM is a 10-year initiative into research on molecular medicine, financed by the Knut and Alice Wallenberg Foundation, together with Linköping University and Region Östergötland. 2nd Annual Wallenberg Center for Molecular Medicine, WCMM, Symposium - 7-8 December. We invite you to partake in the second WCMM-LiU symposium, an initiative focusing on the Medicine-Technology Interface.